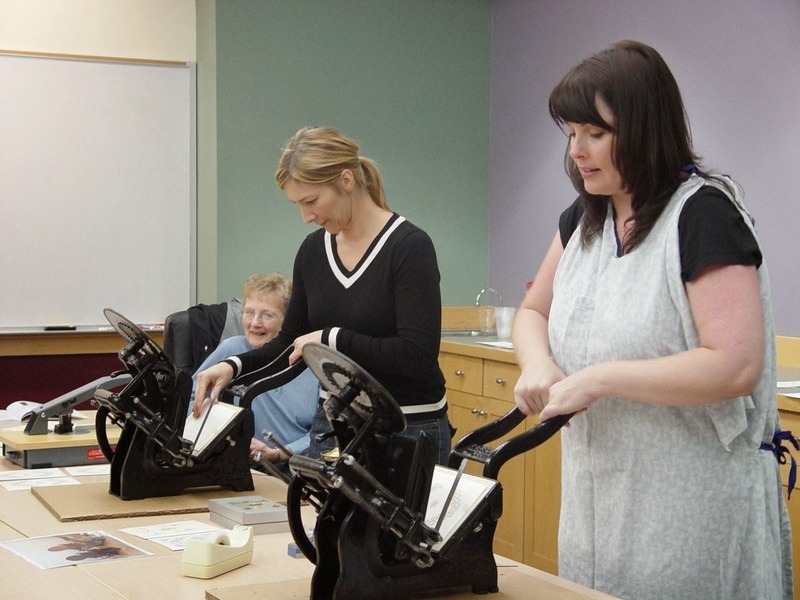 A few of the students printing away at Rob’s Cayuga Community College Letterpress Workshop in Auburn, New York. Everyone got plenty of printing time, and took home 12 two color cards. If you missed it, there is still a little time to sign up for this workshop at the Fulton, New York campus on October 16th, 2013.